The thyroid is a butterfly-shaped gland Ƹ̵̡Ӝ̵̨̄Ʒ that sits at the base of our neck. The word “thyroid” comes from the Greek word for “shield,” and this powerful little gland, the thyroid gland, is truly one of our great defenders, as it orchestrates an intricate web essential interactions in the body. The thyroid gland produces thyroid hormone, which is a like a master switch of your body. Every single cell in the body has thyroid hormone receptors found on its DNA. This little thyroid gland packs a powerful punch! 1. The thyroid is the central gear in your body’s metabolism. Thyroid function intimately impacts the basal metabolic rate, cardiovascular system, bone metabolism, hormone production, glucose metabolism, red blood cell production, protein metabolism, cholesterol metabolism, gastrointestinal function, liver function, gall bladder and brain function. To keep your body in top condition, make sure that your thyroid is working optimally. 2. The thyroid gland is vulnerable to toxins. Many known environmental disrupters such as heavy metals, pesticides and plastic compounds promote goiter activity and can wreak havoc on the thyroid. Think twice before eating foods sprayed with pesticides and using plastics- it might hurt your thyroid gland. 3. Medications can disrupt thyroid hormone metabolism. Thyroid physiology is vulnerable to cross-reactions with many medications including anti-inflammatory medications, antibiotics, antidepressants, cholesterol-lowering medications, antacids, pain medications, and diabetes medications. Talk to your doctor about the potential side effects that your prescription medications can have on your thyroid. 4. Thyroid hormones influence the immune system. Thyroid hormones exhibit influences on cellular messenger systems that affect T and B cell activity, cell death, and many other immune system functions. Think about your thyroid the next time that you are fighting a cold–it’s fighting with you! Make sure that your Vitamin D levels are optimal, as vitamin D is one of the main regulators of a healthy immune system. 5. Many vitamins and minerals are necessary for proper thyroid metabolism. Vitamin A, selenium, the B vitamins, iodine, and vitamin D, and zinc are some of the vitamins and minerals that are necessary to ensure healthy thyroid function. To optimize your thyroid’s health make sure that you eat a balanced diet that includes the vitamins and minerals needed to keep the thyroid in tip-top shape. 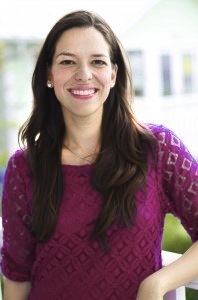 Alejandra Carrasco, M.D. is the founder of NOURISH , an innovative medical practice in Austin, TX that attends to all aspects of an individual’s life, including health, family, community, nutrition, exercise, stress reduction, self-care, and renewal.”Dr. Alex” wants to Revive Primary Care and she is passionate about helping patients tap into the awesome wisdom of the body through integrative and functional medicine. She is board certified in Family Medicine, as well as Integrative and Holistic Medicine, and has spent hundreds of hours studying nutrition, functional medicine, and integrative medicine.Her ultimate goal is to give people the tools, inspiration, and information to live vibrant and nourished lives. View the original article, here on MindBodyGreen.com. Follow her on Facebook and Twitter. Questions or anything to add about the thyroid gland? We want your thoughts in the comments section–Please! Why do you always advise seeing a gp. They know nothing.they arent even interested.